In today’s business world, one of the key marketing platforms for small businesses is social media. Consumers love to have information accessible in the palm of their hand, and social media fits that bill perfectly. Social media for business is a platform that allows businesses to stay relevant and connect with their existing and potential customers, and provides a space for the business to deliver various forms of content to that audience. There are various social media platforms available to businesses, including Facebook, Instagram, Twitter, and LinkedIn, and each platform offers different opportunities and challenges. The primary benefits to utilising social media are the ease of access, and the audience reach. According to Spredfast’s 2018 Social Audience Guide, 37% of the world’s population—a whopping 2.8 billion people—use social media. With over 2 billion regular monthly users on Facebook alone, it is not difficult to see just how much potential there is for business. Social media platforms remove many barriers for business, particularly geographical location, and this opens up the market to a global reach many small businesses could previously only dream about. But even those businesses who have no need to step out of their local market can achieve huge benefits from using social media effectively. Small businesses use social media for various reasons. Whether you want to extend the reach of your advertising spend, increasing engagement, lead generation, and boosting sales; display your opening hours, contact details, or location; or show testimonials from satisfied clients that prove how great you are, social media provides the perfect setting to do this. Social media analytics also provide information about your target audience that has never been available before, giving you more information than ever to make decisions with. Facebook offers a comprehensive advertising option for businesses, and all of the different platforms offer a space for your business to communicate advice, product and service information, and your brand messaging to a wide-ranging audience in multiple ways. Social media advertising is much more cost effective than traditional marketing methods, and can increase the traffic to your website as well as increase your brand awareness. It is so important for businesses to have a social media presence. Whether you are looking to have a blog regularly posting information relevant to your core business, or you want to post picture updates each time you finish a job that looks great, social media is the place to put that content. If you are looking for a way to have queries from your customers answered efficiently, or to provide an easy way for feedback to be collected, each social media platform offers a unique solution. With all of this going on, how are you supposed to find the time to actually perform your core business? Just the thought of juggling all of these different tasks, across the various platforms, can be enough to make you feel overwhelmed. And all of the time and effort that goes into creating the content, managing the accounts, setting up advertising… frankly, it’s time you can’t afford away from the tasks that make you money. That’s where Virtual Angiie comes in. 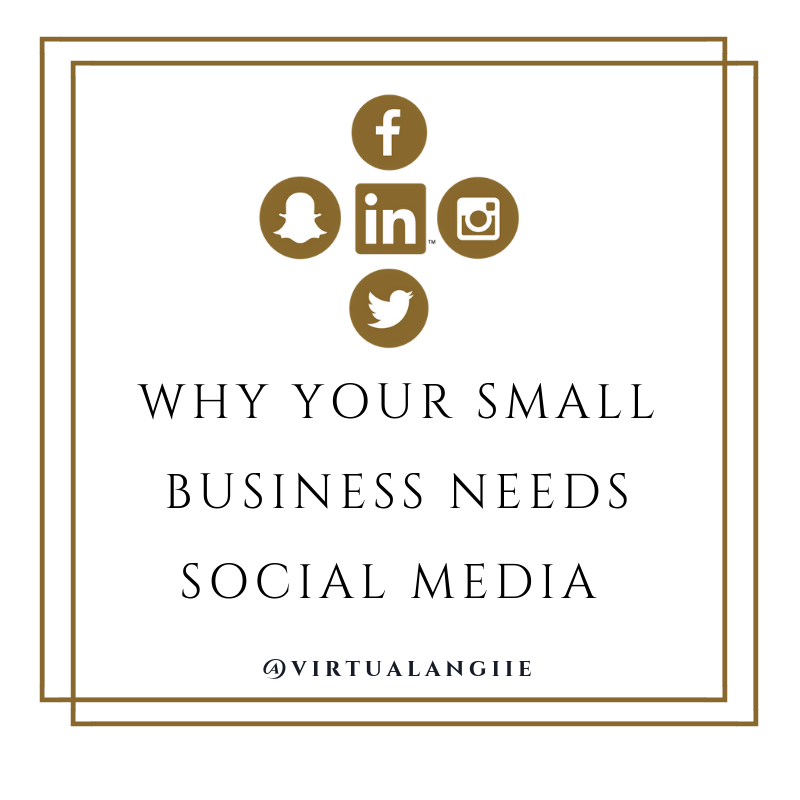 Virtual Angiie offers social media management that will leave your customers satisfied, your social media accounts buzzing, and you wondering how you ever did without social media or Virtual Angiie! If you are an experienced social media user, a complete novice, or somewhere in between, ask yourself if you can afford to spend your valuable time on social media. And then get in touch with Virtual Angiie. She has the solution you’ve been looking for.